Foam Maker - SOS Safety International Inc. The CHEMGUARD floating roof foam maker is constructed of stainless steel components for corrosion-resistance. A removable orifice plate at the threaded inlet is sized to deliver foam solution over a range of flow rates depending on the inlet pressure (see Flow Range sections). 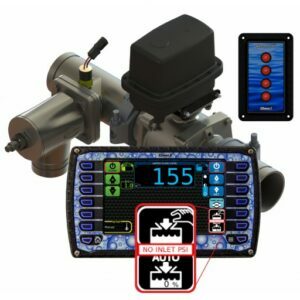 The acceptable operating pressure range is 30 psi to 150 psi (2.1 bar to 10.3 bar). A stainless steel foam solution strainer is provided at the inlet (CGFLR-30). The strainer is secured by a snap retaining ring to allow removal for inspection and cleaning. 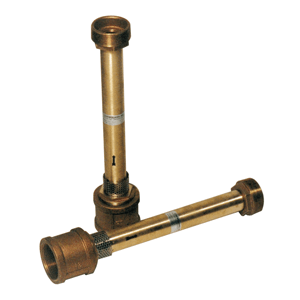 The solution inlet of the CGFLR-90 does not require a strainer. CHEMGUARD Floating Roof Foam Makers (CGFLR) are air-aspirating foam discharge devices that are designed to protect floating roof, flammable liquid storage tanks. Specifically, the protected storage tanks must be of open-top construction with either double-deck or pontoon-type floating roofs. This type of construction eliminates the need for a vapor seal, allowing the use of foam makers rather than foam chambers. Additional applications include protection of diked flammable liquid storage and spill areas. Floating roof foam makers are used with various types of proportioning systems such as bladder tanks, balanced pressure pump proportioning systems, or line proportioners. 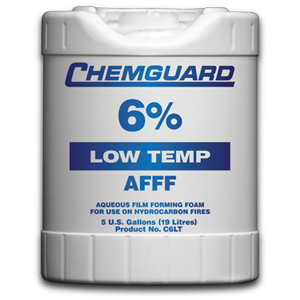 The foam makers can be used with appropriate CHEMGUARD low-expansion foam agents for the flammable liquid being protected. 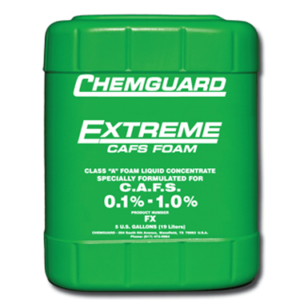 The CHEMGUARD Floating Roof Foam Maker is UL Listed with various CHEMGUARD foam concentrates. Consult the UL Online Certifications Directory or contact Tyco Fire Protection Products Technical Services for more information.